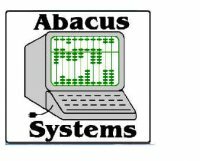 Description of Services Abacus Systems, Inc was started in 1978 and specializes in applications software for the construction rental industry. The system is currently installed on 60 servers in the US and Canada. The software is unique in it's inventory control application tracking construction equipment used on various jobs for each customer. It includes proprietary billing methods that are carried through to the accounting modules including accounts receivable, accounts payable, general ledger, payroll, and job-cost. The software is constantly being upgraded based on customer demands. Originally written in TI Basic (from Microsoft) and later ported to "C", it is only installed on SCO Open Server systems at this time.